North Carolina has made national headlines for enacting HB2, a law that legalizes discrimination against LGBTQ+ people and hurts all NC workers. Unfortunately, our state and our state’s schools, like so many places in the world, are not yet consistently safe and affirming places for LGBTQ+ people. 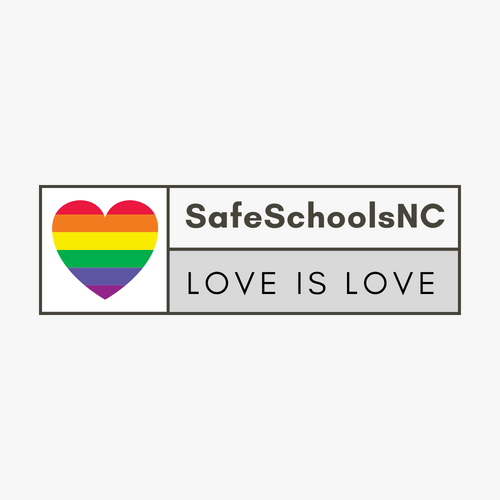 Safe Schools NC is dedicated to changing that dynamic is as many NC schools as possible and we believe that educating other educators about LGBTQ+ issues and inclusive learning environments is one of the best ways to make schools welcoming for all students . Our yearly conference brings together teachers, school counselors, school board members, administration, students and others and provides them with strategies, resources, and support to combat the injustices that too many young people experience. North Carolina’s educators have the power to stand against hate in our state, and the Safe Schools NC conference gives them the tools to do so. Partner with a donation of $200 or more. Click here for directions on how to donate today!